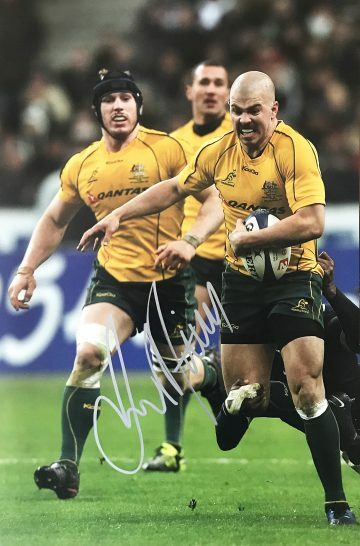 Shop signed Australia Rugby shirts, balls, boots & autographed photo displays & prints. We guarantee the provenance of all of our signed memorabilia. 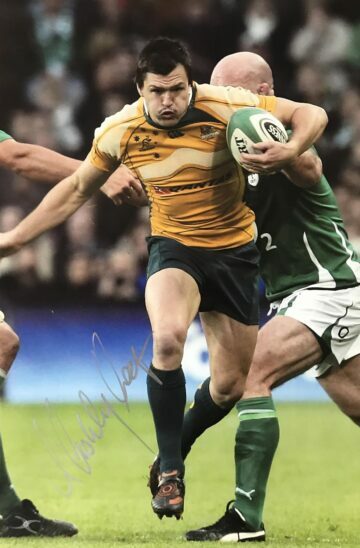 All of our Wallabies autographs come with free UK delivery, fast worldwide shipping and a Certificate of Authenticity. Many come proof of the actual signing! 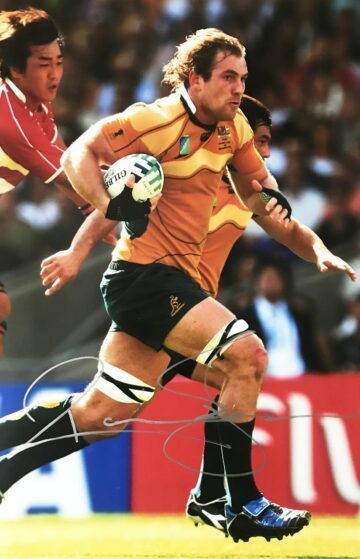 Australia is respected worldwide as one of the most successful nations in rugby union. Its national team (known colloquially as the Australia Wallabies) is known as one of the world’s most formidable and feared national rugby union sides. 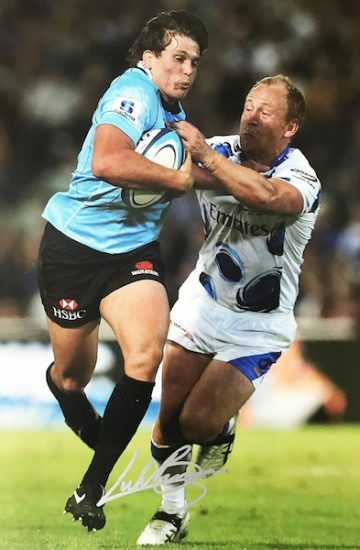 Rugby has a long history down under. It first became established in Australia in the late 1800s, initially a derivative of hybrid football games imported with European immigrants and indigenous sports. Initially, football and rugby were the same game, before they branched away from each other to form two games, football and what was then known as ‘Australian rules football’. It is thought to have been founded by a young man called Tom Wills, who attended Rugby School in England and became the captain of the rugby team there. The first match of ‘Australian rules football’ (a game which more closely resembles rugby union as we know it today) was played in 1858. From then on the sport grew in popularity, with close ties to and the influences of England playing a major role in its development. The first international tour took place in 1899. 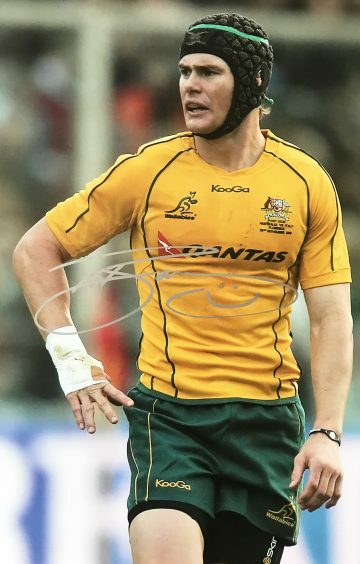 Australia holds tier one status with World Rugby, having competed in over 500 test matches with international teams over the years. Throughout their history, as a national team, they’ve had major success in international tournaments against other top tier nations including New Zealand, Britain, Fiji, South Africa and Tonga. Achievements include four Rugby Championship wins (formerly Tri-Nations) and hundreds of test matches. More than 12 former Wallabies players have since been inducted into the prestigious World Rugby Hall of Fame. 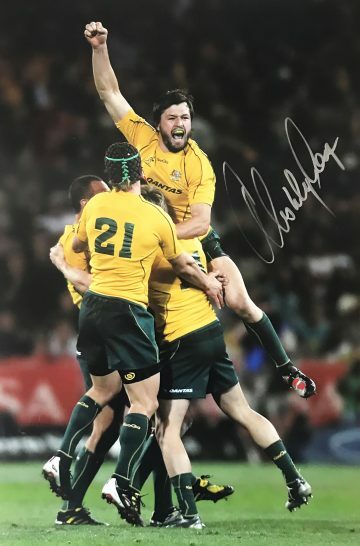 Whether you’re a raging rugby fan or avid collector look no further than our signed Australia wallabies rugby memorabilia collection. 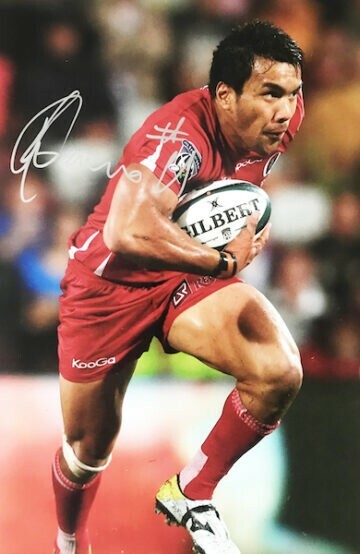 We’ve sourced a variety of incredible items signed by some of the nation’s biggest rugby union stars. 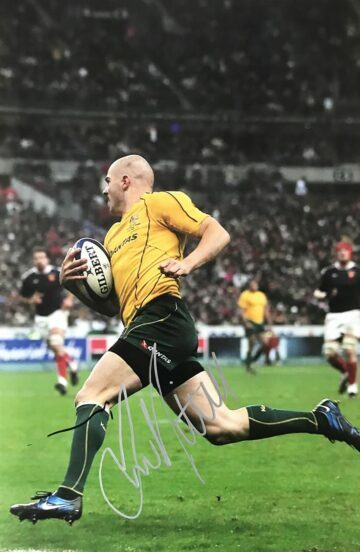 Here you’ll find signed Wallabies shirts, rugby balls and photographs depicting some of Australian rugby’s most memorable moments on the world stage. 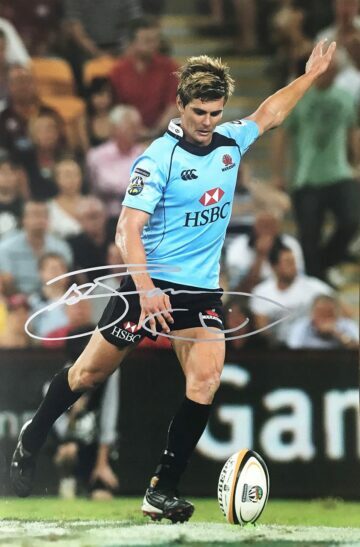 All are autographed by star players throughout the nation’s illustrious rugby history. Every item is supplied with a certificate of authenticity for your full peace of mind.